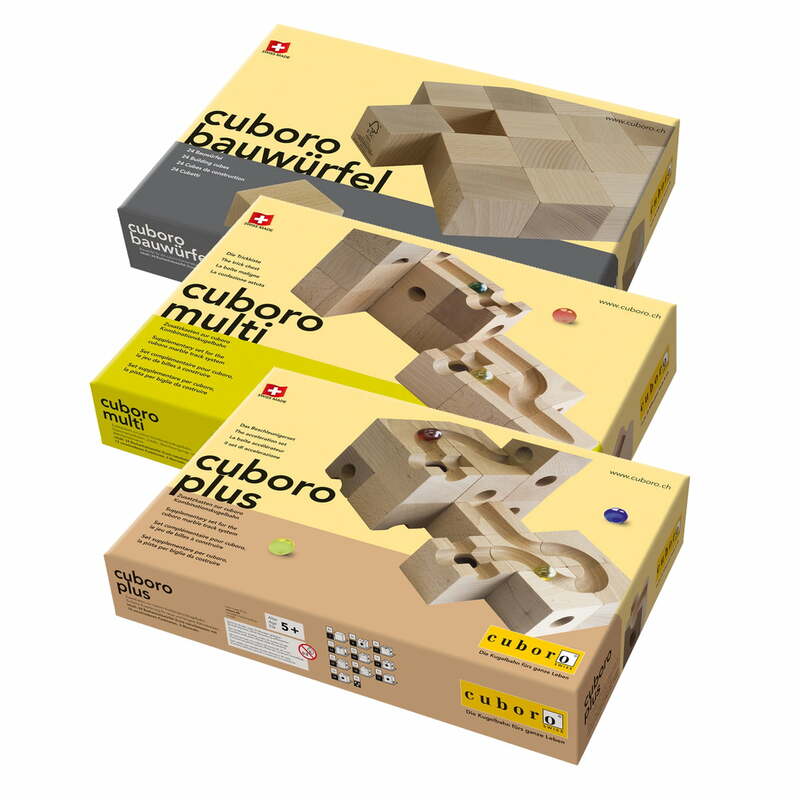 The supplementary marble track set by Cuboro greatly expands the possibilities for the creative building cube system: The different themes of the supplementary sets give each track an individual character. While the Plus set comes with different accelerator elements, the Multi kit is teeming with tricks: 11 additional functions make it possible to experiment with acceleration and to create complex trajectories. The additional building cubes provide a base to make the Cuboro tracks longer, higher and more spectacular. All supplementary boxes include 24 elements, 3 marbles and can be combined with the basic system. 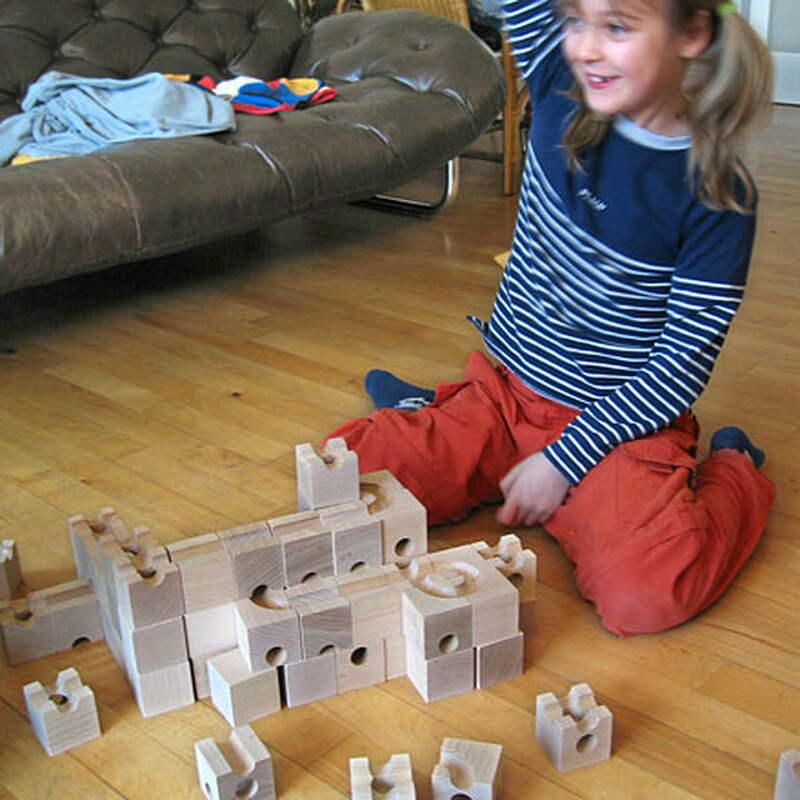 This is how endless possibilities emerge and encourage children to think and use their imagination. Thanks to the various elements of each kit, every Cuboro marble track can be personalised and guarantees never-ending fun. 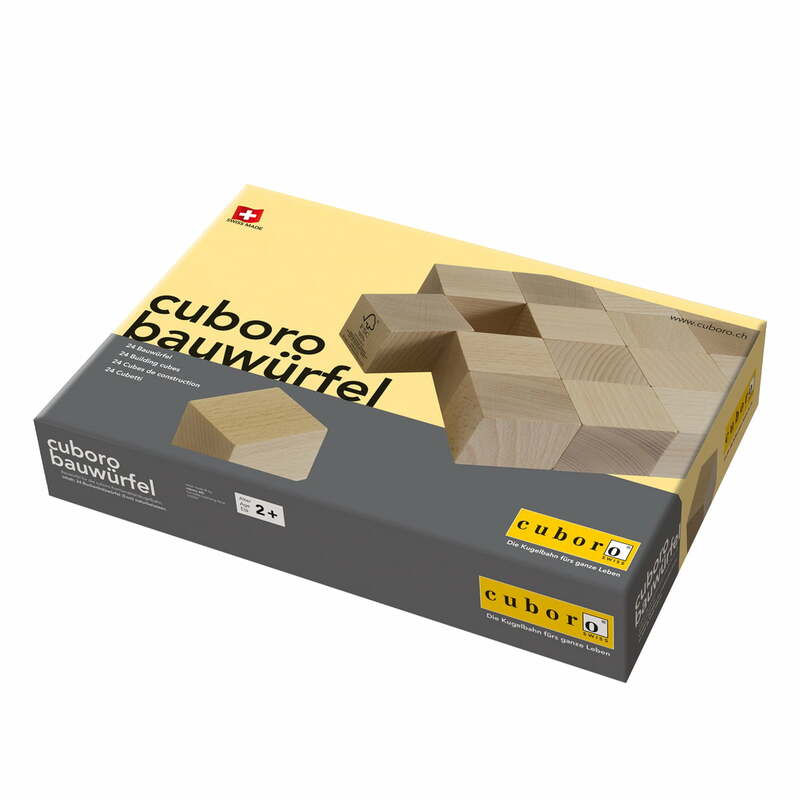 Produced under the label "cuboro Swiss Quality", the cuboro elements consist exclusively of Swiss beech wood extracted from exemplary and sustainable forestry. 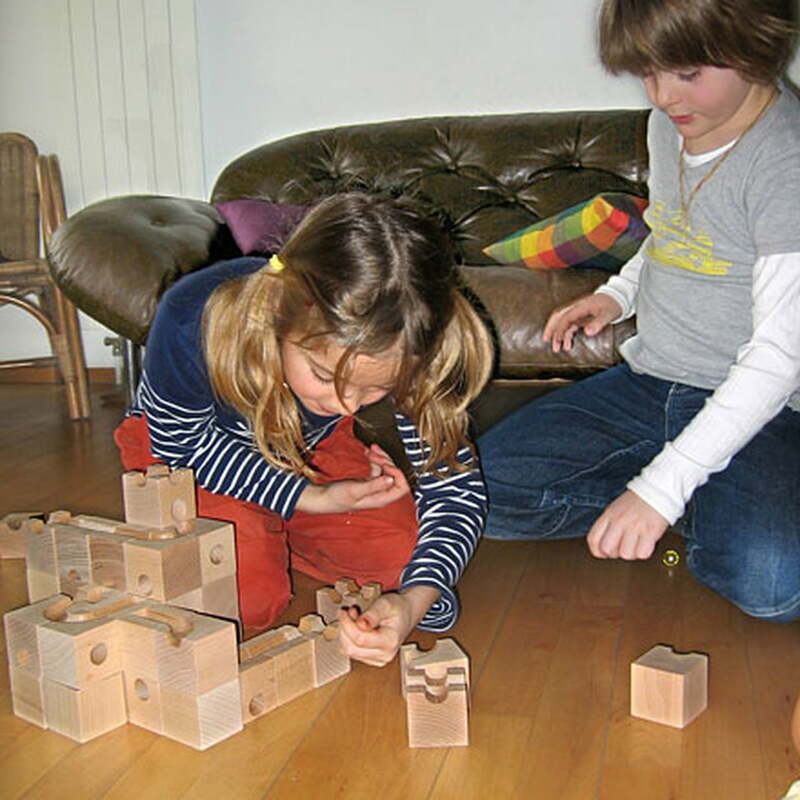 The processing has been taking place since 1986 according to traditional carpentry in Switzerland. In addition, the supply of additional products, packaging and printed matter only comes from environmentally sound, sustainable and socially acceptable manufacturing. Further supplementary sets by Cuboro are available. Danger of suffocation! Small parts could be swallowed.